Economical and practical, choose to extend the manufacturer's warrantee for three years and feel safe that your Wine Guardian cooling unit is protected for years to come. Wine Guardian three Year Extended Compressor Warranty is on the compressor only. Ensure peace of mind! Economical and practical, choose to extend the manufacturer's warrantee for three (3) years and feel safe that your Wine Guardian cooling unit is protected for years to come. 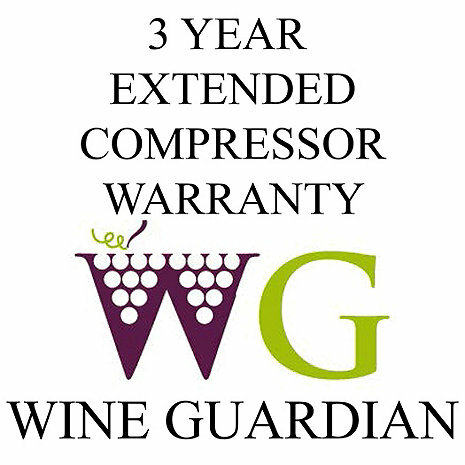 Wine Guardian three (3) Year Extended Compressor Warranty is on the compressor only. Warranty covers the cost of a new replacement compressor should the original compressor be deemed defective anytime during the three (3) year extension. All shipping and labor charges for the replacement are not covered under this warranty. Effective date for any extended warranty is the original invoice date for the Wine Guardian unit, not the purchase date of the extended warranty. This item does not qualify for any additional price discounts or promotions.